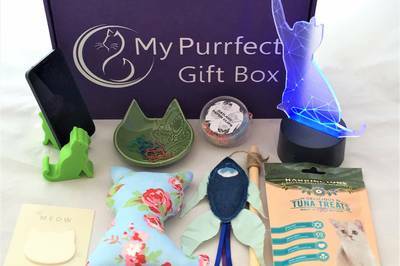 My Purrfect Gift Box is currently sold out! 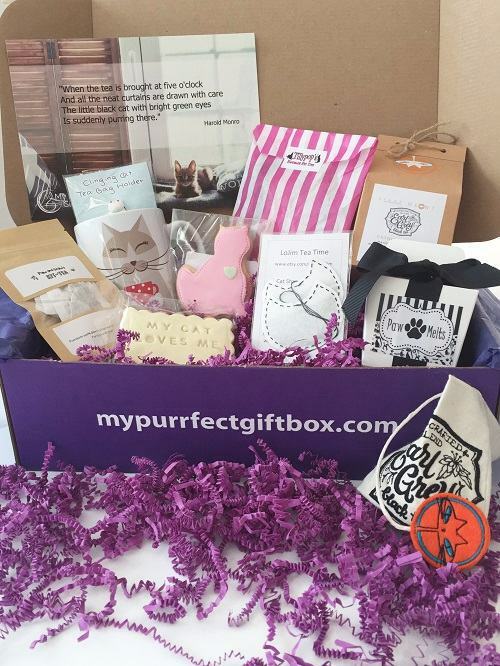 Enter your email address below to receive a notification when My Purrfect Gift Box starts accepting new sign-ups! 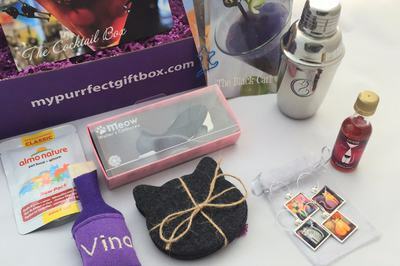 Enter your email address below to receive a notification when My Purrfect Gift Box is accepting new sign-ups again. 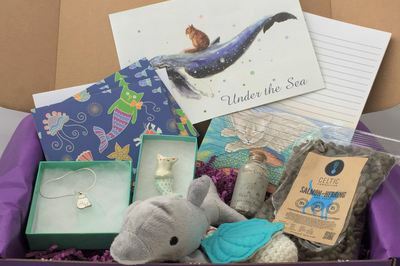 Your box will ship between the 20th - 25th of every month. 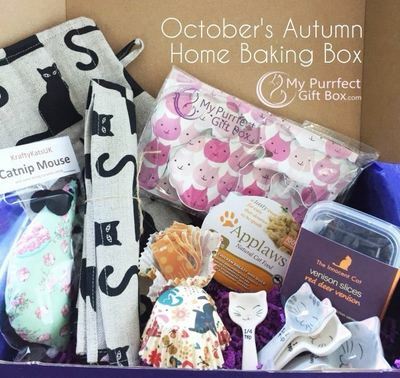 Please order by the 20th of the month to get the current box. 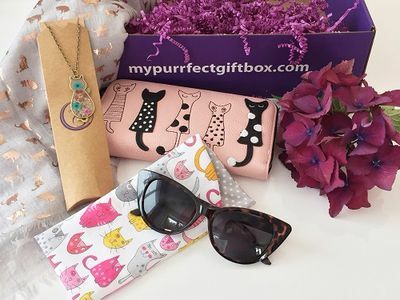 My Purrfect Gift Box is the UK's only subscription box for ladies who love cats! 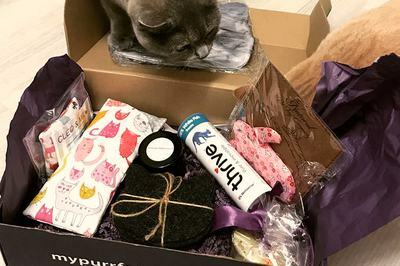 Each month we send you 3-5 unique cat-themed gifts from around the world. 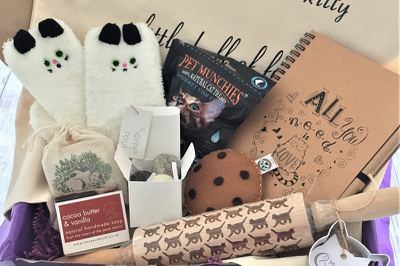 Choose the optional 2-3 l gifts for kitty too! And of course...they keep the box! 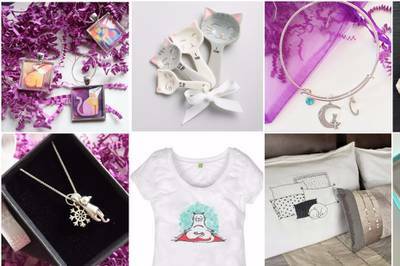 This is the purrfect way to treat yourself or to give as a gift for the cat lovers in your life. This is such a great box! From packaging to itemisation, this box is good, very very good. I really enjoyed the quality of the items and the variety I have received. There was something for both me and my cat and it was fun to unpack and try everything out! My Cat And I LOVED It! 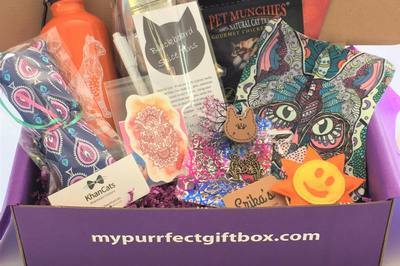 I just received my first My Purrfect Gift Box and I could not be more excited! There were so many things in the box! Mine included 2 cat toys. One of which my cat took right out of my hands and started playing with it! It also included a cute set of 4 cat themed thank you style cards with envelopes. Also a set of things for tea, a coffee cup with a cute cat on it holding a cup of tea, a set of 4 coasters, and a ton of tea bags. It also had a large tube of cat treats from Thrive, they were chicken liver treats. Last but certainly not least it came with an amazing pair of high-quality sunglasses, with a cat carrying case for them! 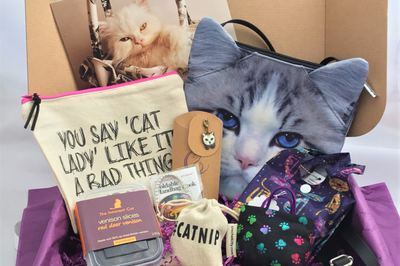 All in all, I would DEFINITELY recommend this box to anyone who has a cat or is a fellow crazy cat lady like myself. Received my first box. I received my first box in October. Love all the cat related items for me. My cats loved their toys. They didn't love the food. But still very happy with my box. I especially loved the human cat cookies hope I get them in everybox!